Towpath astronomer Brian Jones searches the sky for the constellation of Boötes. Is it herdsman, ploughman or bear driver? 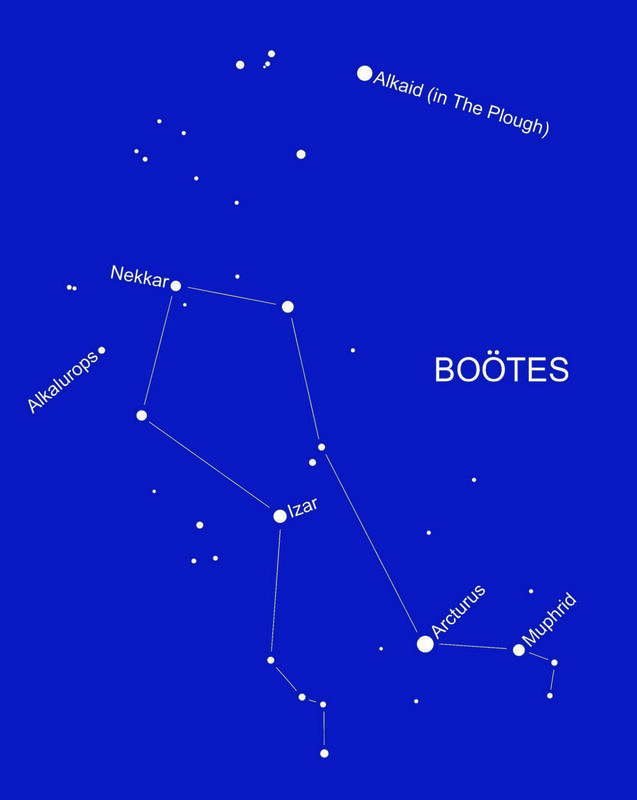 THE prominent constellation of Boötes is located high in the sky, not far from the overhead point during the evening at this time of year. 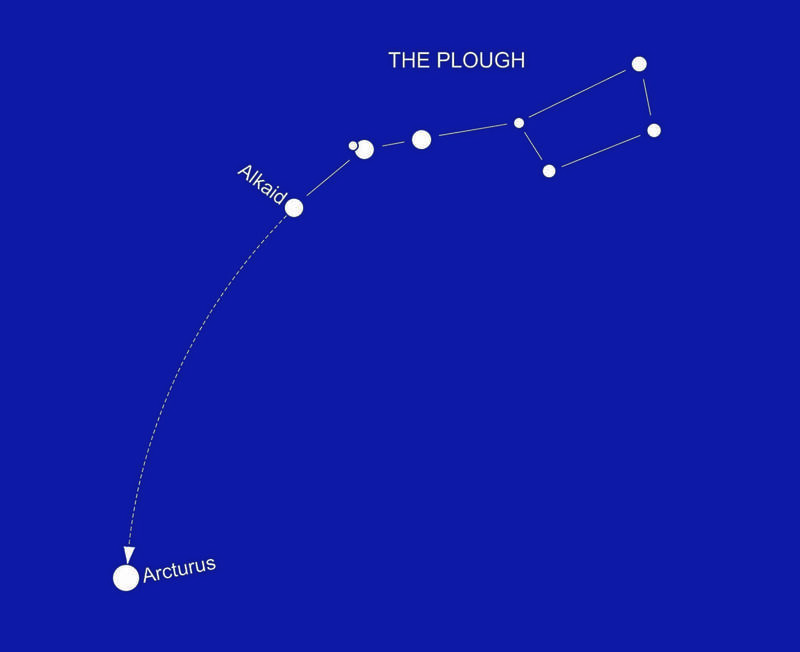 Its brightest star, the yellow-orange Arcturus, can be located by following the curve of stars in the ‘handle’ of the nearby Plough roughly southwards as shown here. The conspicuous shape of the Plough can be found high in the sky, a little to the west of the overhead point. 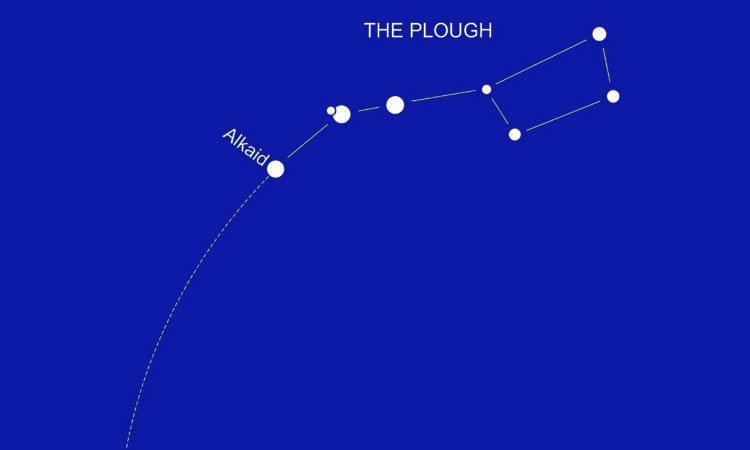 Alkaid, the ‘end star’ in the Plough handle, is shown on both the finder chart and on the main chart for Boötes. Boötes has rather a mixed and uncertain origin and different backgrounds describe a whole host of mythological sources, although the constellation is usually taken to depict a herdsman who is chasing the Great Bear around the northern sky, although some legends identify him as a hunter leading a pair of hunting dogs on a chase. Greek mythology associates the constellation with a ploughman, while tales from early Rome depict the group as a wagoner. Early English writers referred to the constellation as a bear driver, due to its proximity to Ursa Major (the Great Bear). Its leading star Arcturus is one of the brightest stars in the sky and is a really prominent object. With a diameter of around 30 times that of our Sun, Arcturus shines from a distance of just over 36 light years. The name of this star is derived from the ancient Greek name for ‘the bear watcher, or guardian’. Arcturus holds the distinction of being the first star (other than the sun) to be observed with a telescope in daylight, this feat being performed by the French astronomer Jean-Baptiste Morin in 1635, not long after the invention of the telescope around a quarter of a century before. Somewhat further away than Arcturus, and marking the hand of the herdsman, is the star Nekkar, the light from which takes around 225 years to reach us. The ancient Chinese knew Nekkar as Chaou Yaou, meaning ‘to beckon, excite or move’! Its golden yellow colour is superb when viewed through binoculars under a dark and clear sky. Like Arcturus, Izar is a yellow-orange star, and derives its name from the Arabic izar meaning ‘girdle, or loin cloth’. Izar is what astronomers call a binary star system, which means that it is formed from two stars orbiting each other. The companion star is blue-white and you may be able to see both components through a small telescope. In 1829, the astronomer Friedrich George Wilhelm von Struve nicknamed this star Pulcherrima, from the Latin for ‘most beautiful’. He christened the star with this name because of its gorgeous contrasting colours. Muphrid is named after the Arabic mufrad al-ramih which, when roughly translated, means ‘the isolated single one of the lance bearer’. Muphrid shines from a distance of 37 light years. Chinese astronomers gave this star the rather grand name of Yew She Ti, meaning ‘The officer standing on the right of the Emperor’! Along with Izar, Boötes contains quite a number of multiple star systems, included among which is the double star Alkalurops. Shining from a distance of around 120 light years, both of the two main components of Alkalurops can be seen through binoculars. It is interesting to note that each of these two stars is a binary system, although in each case the members of each one are too close to each other to be visible in anything other than a large telescope. Next time we will take a look at the Summer Triangle, a prominent and unmistakable formation of stars that adorns the summer night skies. In the meantime, Boötes is a happy hunting ground for canalside astronomers so why not grab a pair of binoculars, venture out on to the towpath and check out the celestial herdsman? A little patience and a warm night will bring its stellar rewards! 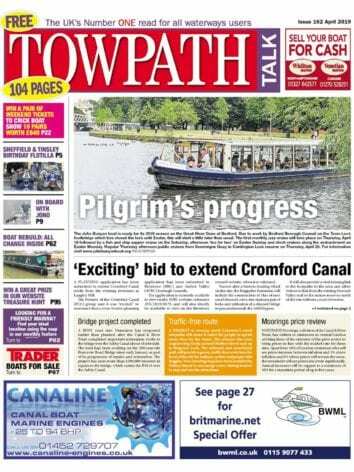 Previous Post:Ellis… more than just a narrowboat!